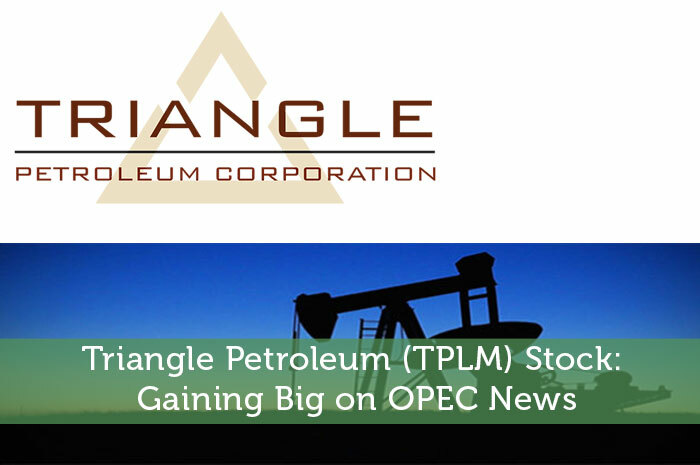 Triangle Petroleum is having an overwhelmingly strong day in the market today, and for good reason. Yesterday, great news hit the oil and energy sector as a whole. Today, we’re seeing a market wide reaction to the news. Below, we’ll talk about the news that broke, what we’re seeing from the stock as a result, and what investors should watch for with regard to TPLM ahead. As mentioned above, Triangle Petroleum is having an incredible day in the market. After starting the day well into the green, the stock has only climbed higher and higher. So, what’s causing the gains? Well, the truth is that this isn’t the only stock in the oil and energy sector that’s seeing strong movement upward today. In fact, the gains are sector wide. Ultimately, the gains that we’re seeing in the oil and energy sector are the result of OPEC news. Months ago, OPEC announced that they had reached an agreement to cut oil production. However, there were plenty of skeptics, including myself. At the end of the day, at this time, the oil cartel didn’t reach a deal, they simply made an agreement to agree, and those can easily fall apart. Nonetheless, this time around, the deal didn’t fall through. Yesterday, it was announced by OPEC that the deal had been finalized. Every member in the OPEC oil cartel has agreed to cut production and has agreed to cap production at specific limits. As a result, OPEC as a whole will produce about 1 million less barrels of oil per day. Ultimately, this is great news for TPLM and others that make their money in oil and energy. At the end of the day, what this means is that the price of oil is likely to go up. After all, supply and demand dictates that when supplies fall, prices rise. As a result, TPLM and other stocks are likely to climb as these companies will make larger profits from their flagship product. As investors, one of the first things that we learn is that the news moves the market. Any time news is released with regard to a specific stock or an entire industry, we can expect to see movement. Of course, positive news will generally lead to gains while negative news will generally lead to losses. In the case of TPLM, the news was overwhelmingly positive. After all, with OPEC reducing production, the company will now likely make more money from its flagship product. As a result, investors are pushing the value of the stock upward. At the moment (1:01), the stock is trading at $0.38 per share after a gain of $0.08 per share or 27.82% thus far today. There’s no denying the fact that the OPEC deal is great for oil as a whole and that Triangle Petroleum will benefit. However, keep a close eye on the trends. With news like this, the movement can quickly become an exaggerated bubble that will burst. The truth is that while 1 million barrels per day is a lot, it’s a drop in the bucket compared to the current glut. So, keep a close eye on supply and demand and watch to see if movement in the market surrounding TPLM and others is getting out of hand.